↑ Oscar Riddle (2007). The Unleashing of Evolutionary Thought. Vantage Press, Inc. प॰ 343. आइएसबिएन 9780533155972. 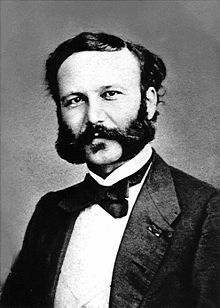 "The first Nobel Peace Prize went, in 1901, to Henri Dunant. Dunant was the founder of the Red Cross, but he could not become its first elective head–so it is widely believed–because of his agnostic views."